Fantasy is always a welcome respite to the everyday world. 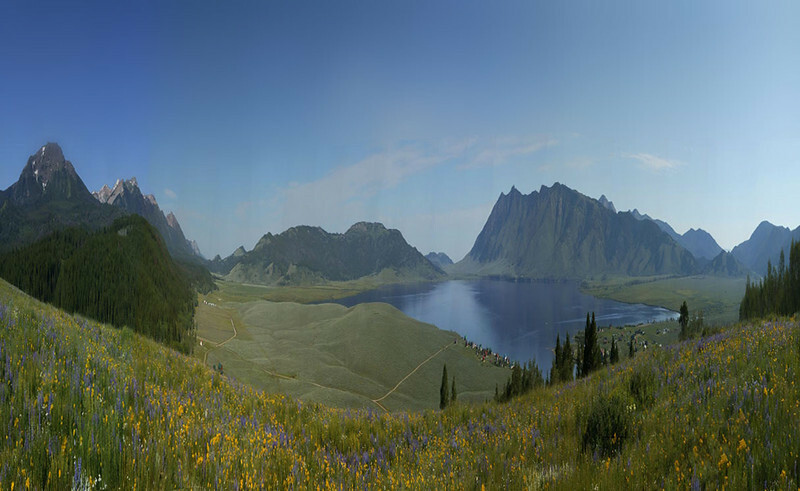 Here I've taken some of my panoramas and "squished" them horizontally to provide an element of fantasy. Enjoy! Wildflowers blooming on Bootjack Hill. Henry's Lake in the background near Island Park, Idaho.